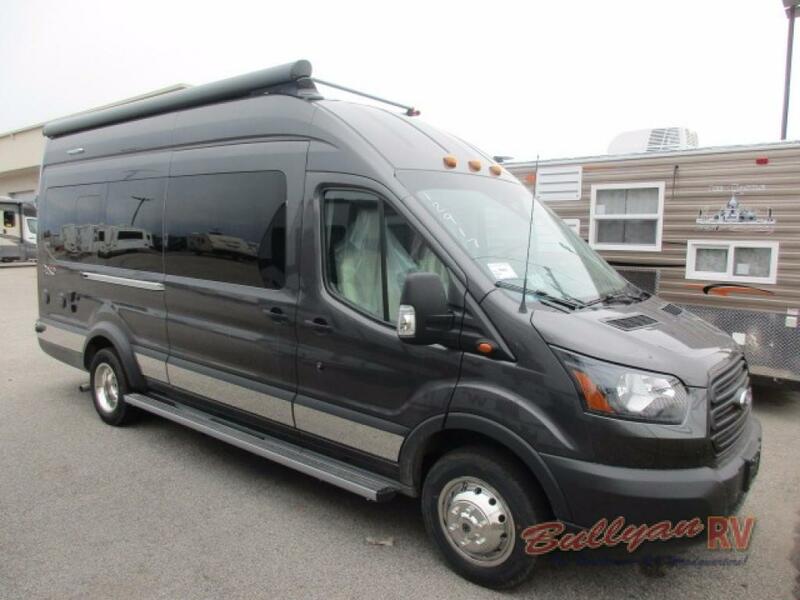 Travel and adventure is in the palm of your hand with the Winnebago Paseo Class B Motorhome. 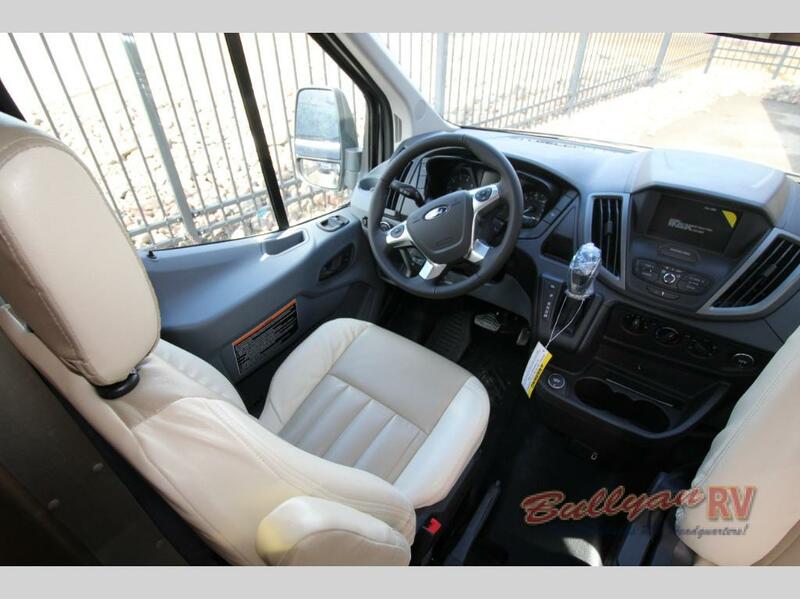 Mobility and efficiency are at it’s best with this versatile and easy to maneuver coach. 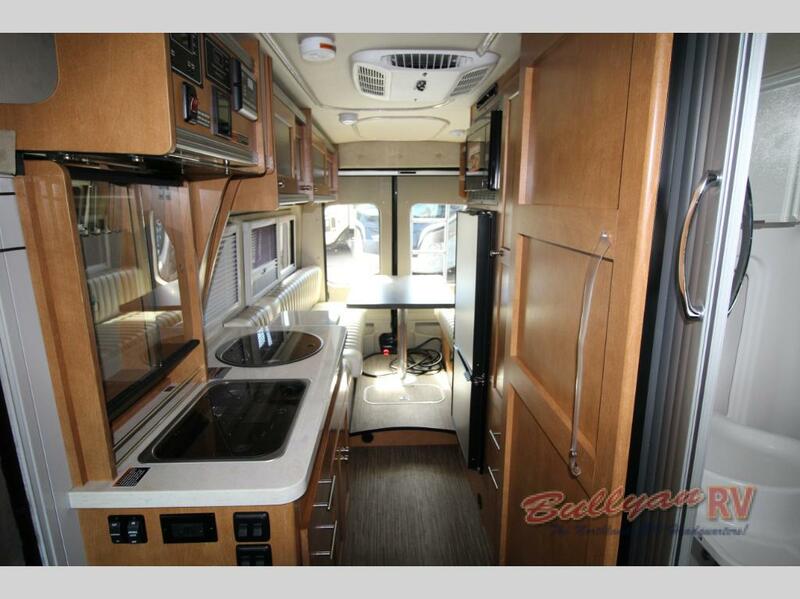 Navigate narrow city roads with ease in this nimble motorhome. 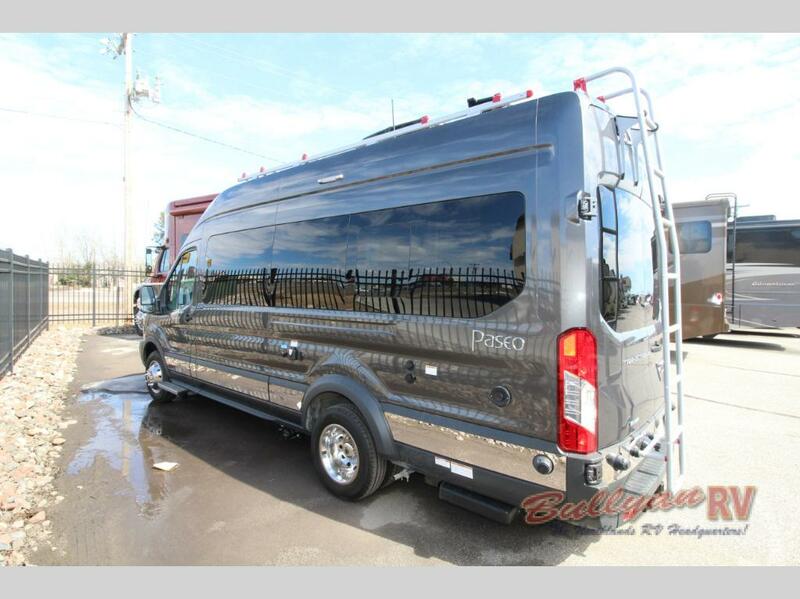 Built on a Ford Transit van chassis, the Paseo features the power and fuel economy of a Ford EcoBoost gas engine, 6 speed SelectShift transmission, and SYN 3 voice activated stereo/navigation system. 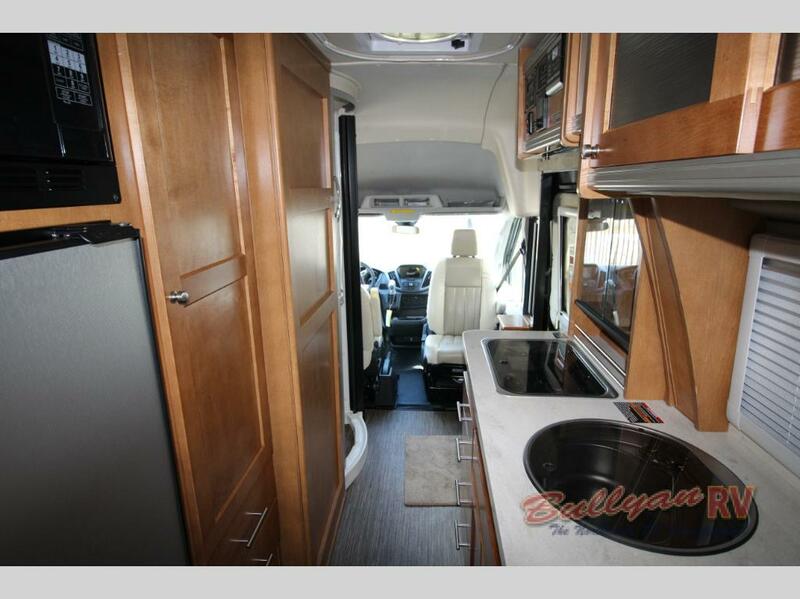 This coach is equipped with state of the art technology inside and out including solar power, an armless power awning and Bluetooth sound system. Winnebago has done a fantastic job making maximum use of the entire living space. The front passenger seat swivels around to face the main cabin. 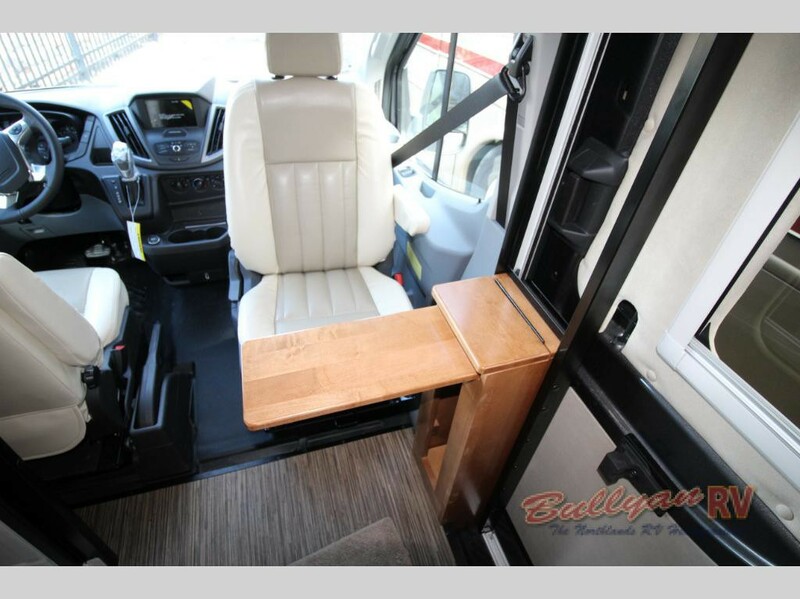 The rear main seating easily transforms to a bed. There is even a fold out counter attachment to increase your available kitchen space. There are storage compartments in every available spot. In the kitchen you will find Corian counter tops, a large 12V refrigerator with separate freezer, convection microwave and 2 burner cook top and cold water filtration system. There is a a large wetbath that has a generous amount of head space for tall campers. The Paseo also has advanced climate control features such as the high efficiency Truma Combi Eco Plus Heating System. It has also been specifically designed and insulated for extended seasons. If you’d prefer extra fresh air, you can open the side and rear doors for a nice cross ventilation. Both doors are equipped with a pull down mosquito screens so you can keeps those pesky critters outside where they belong. Equipped with an Onan generator, you have the ability to boondock camp if you’d like to get off the beaten path or tailgate in an area without electrical hook ups. On top of the Paseo, you will find a handy rack system that can be accessed from the back or side by a moveable ladder. This durable storage rack is perfect for a kayak or canoe. Get Behind The Driver’s Wheel Today! To check out the super cool Winnebago Paseo Class B Motorhome or even take it for a test drive, Contact Us at Bullyan RV or visit us at Our Location. This class B has a ton to offer. Don’t let this one get away! 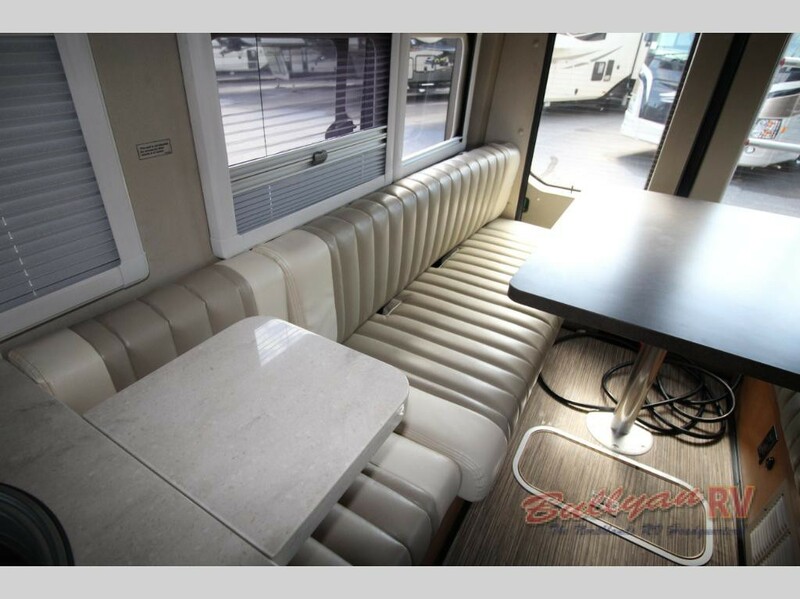 Watch this video for a full walk through of the Winnebago Paseo!